If you’re still looking for the perfect bookish gift for a family of readers, then you’ll want to read this review. Once again, the kind folks at GoneReading.com have made me insanely happy by sending a bookish gift and this one is one I can share with others. 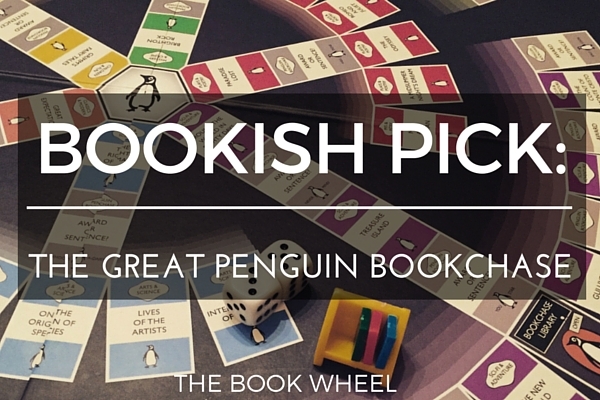 The Great Penguin Bookchase Boardgame is Trivial Pursuit meets Monopoly and is so much fun. The basic gist of the game is this: You roll the dice, move around the board, and answer bookish questions. There are wildcards that can gain or lose you a book or send you to the library, which means that you never know what you’re going to get. What’s great about this game is that there are two ways to play it – the easy way and the hard way. The harder way is so much more fun because if you land on a color and already have a book of that color, you lose your book if you get it wrong (as opposed to simply moving to the next person). The problem with leaving your books behind is that anyone who lands on that space can steal all of your books, which means you’re racing around the board trying to answer all of the questions correctly while stealing other people’s books. In other words, it’s a ton of fun. What was more fun were the typos in the cards themselves, which were of course not GoneReading’s fault but provided a few really good laughs. 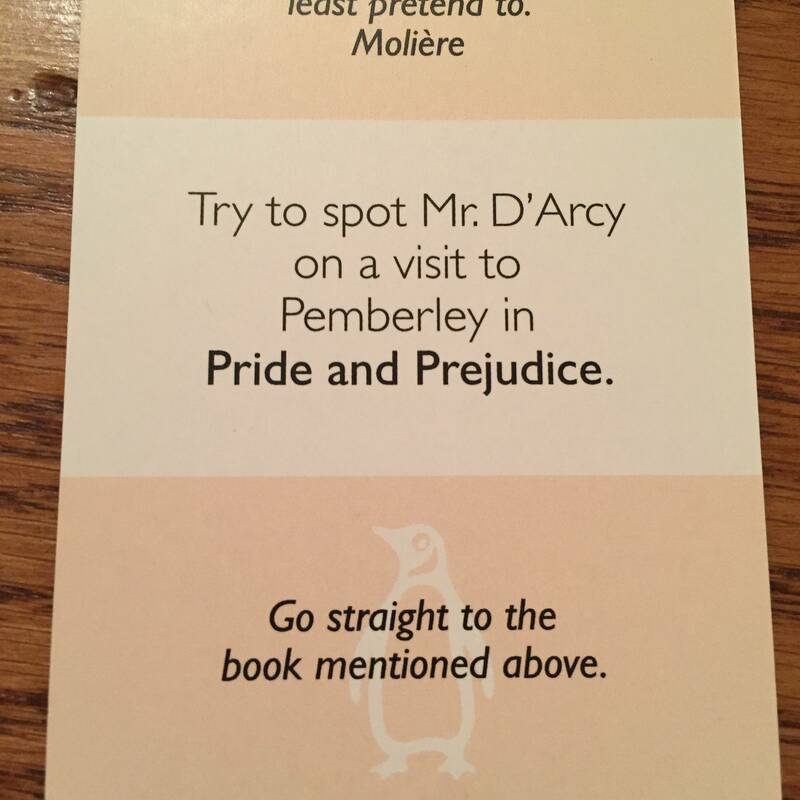 For example, my husband was reading us the questions and was having a hard time with Mr. Darcy, which horrified me because it’s MR. DARCY. But, as you can see from the photo below, it was an understandable mispronunciation. Final thoughts: If you’re looking for a fun gift that you can play with another person or a group and love books (and spotting hilarious typos), pick this one up.